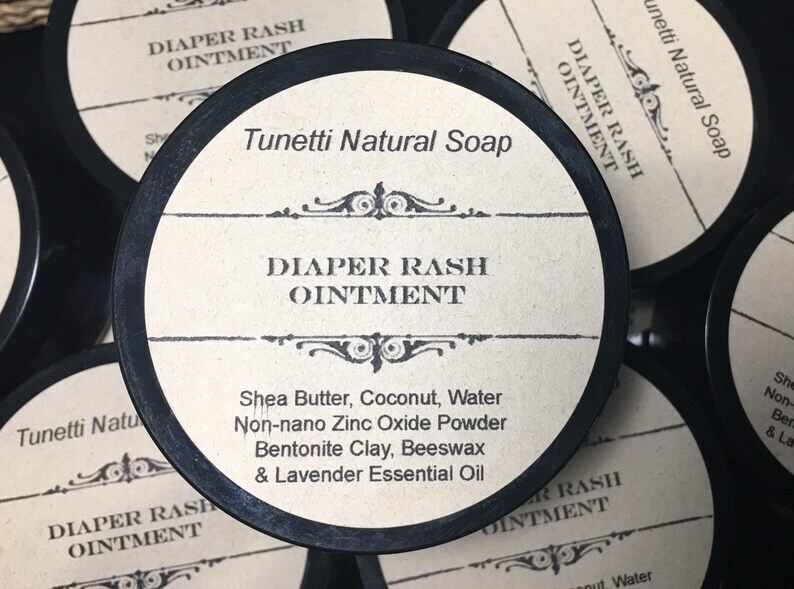 Tunetti Natural’s Diaper Rash Ointment is great for treating diaper rash and chafing. The ointment is made with non-nano zinc oxide that does not penetrate into the skin. - Provides a protective barrier for the skin and helps hold the other ingredients to the skin so they can be effective. - Zinc oxide is insoluble in water and coats the skin. When mixed with the other ingredients, it makes skin water proof and keeps it from drying out. - Helps control moisture and fights bacteria on the skin that can be making the rash worse. - antiseptic and anti-inflammatory properties which can fight the bacteria causing infections, thus reducing the swelling and redness.